Located one mile west of the doorway to Mesas largest master planned community, Eastmark, which is currently planned fpr 1,700 homes in Phase 1 and Phase 2 and over 15,000 additional hpmes at build-out in the remaining phases. 2 miles north of Mesa Regional Airport. 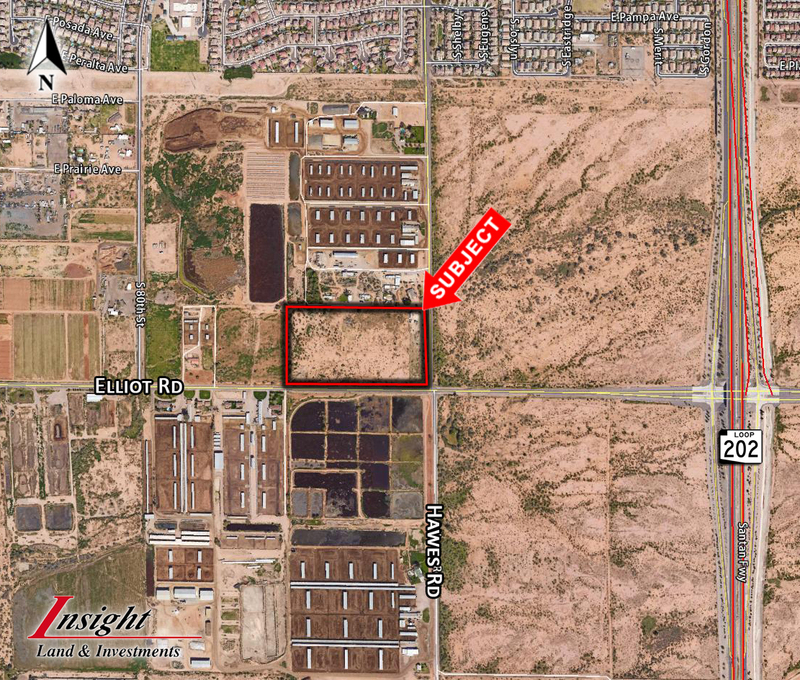 Great potential commercial corner, in one of the last remaining open develop able areas in Mesa. Full diamond interchange on Elliot Rd from the 202.